to the entire student body and serves as the official spring recruiting day for our College. College was ranked by EdSmart.org as one of the top 20 HBCUs based on alumni starting salaries. We invite you to come and recruit our best and brightest for your full – time and part – time vacancies and internships. MSC 604 Columbia, SC 29204.
reserve an interview space for you. 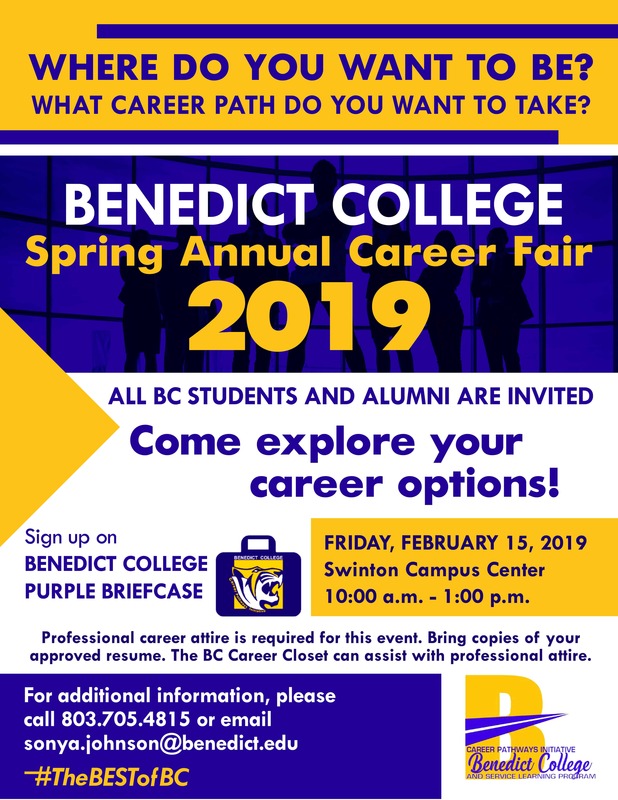 tab for Benedict College Annual Career Fair 2019.
forward to seeing you on February 15, 2019!